Dogs Trust launch Doggy Dub - the first dubbing app featuring dogs! Dogs Trust today launches Doggy Dub - a pioneering new app in which users record their own voices over specially created videos of past and present Dogs Trust residents to share with friends. The charity, which has worked tirelessly to give dogs a voice over the last 125 years, is releasing this UK-first innovation as part of its anniversary celebrations in 2016. Doggy Dub follows the hugely successful launch of Dogs Trust Emoji Keyboard in 2015, which received over 41,000 downloads, and aims to harness the popularity of dubbing apps such as Dubsmash, bringing a twist on the technology to the canine loving public. From gazing adoringly in the mirror to excitedly nodding in agreement, the app features videos showing dogs moving their mouths in a range of different scenarios, as if talking. Users then give their own voices to the dog stars by recording over the footage to time with the pooch's mouth movements, and the app will then cleverly layer the audio over the visual. All of the dogs featured in Doggy Dub are past and present residents of Dogs Trust. From Larry the Neapolitan Mastiff to Trudi the English bulldog, the charity cares for nearly 17,000 dogs across its network of 20 Rehoming Centres in the UK and one in Ireland. Through technology such as Doggy Dub, Dogs Trust aims to showcase the personality and sheer variety of dogs in their care as well as allowing dog owners and dog lovers from across the globe to share and celebrate this diversity in videos to friends and family. 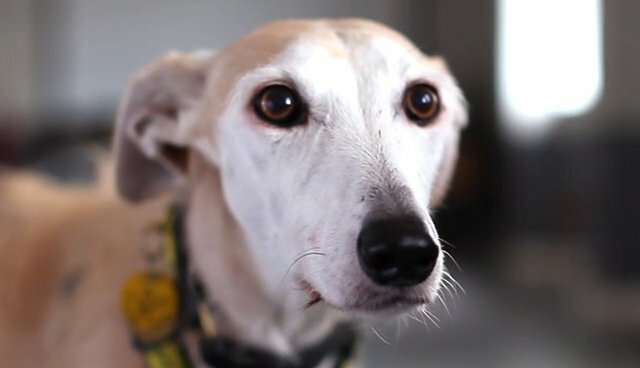 "At Dogs Trust we are always striving to find new ways of communicating the variety of the dogs in our care and we think Dogs Trust Doggy Dub does just that. Each dub created and each video shared is another conversation about rescue dogs and a fantastic way to ring in our 125th year." Dogs Trust Doggy Dub is available to download for free on Apple iOS and Google Android. Click here to read Dogs Trust Doggy Dub Terms and Conditions.